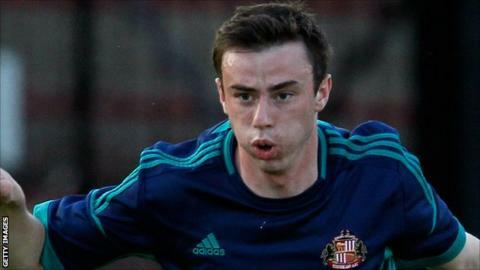 Hartlepool United have signed Sunderland winger Craig Lynch on a month-long loan deal. Lynch, 20, who is in the squad for Saturday's home fixture with Carlisle United, has played two first-team games for the Premier League club. The Black Cats handed the versatile forward a professional deal in 2010, although much of his football has been played in the reserves. He will wear the number 24 shirt at Victoria Park.